In AD 450 the See of Ossory under St Kieran was established. 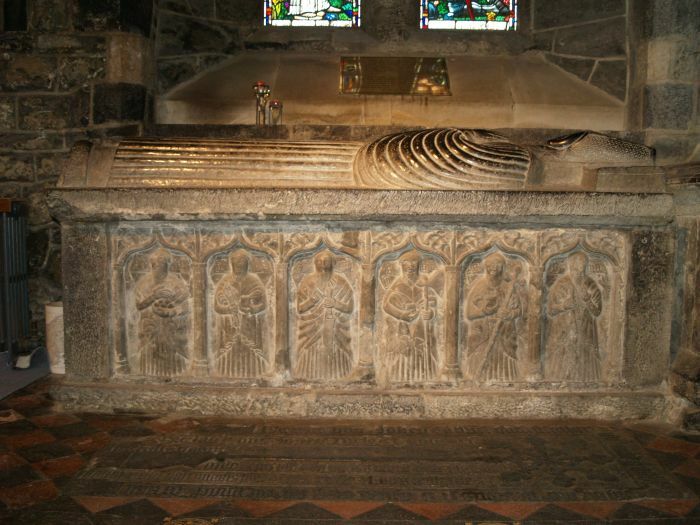 In 599 St Canice died, the founder of the first church settlement in Kilkenny. The round tower was built in 900 in defence of Viking attacks. In 1170 the Normans took over Kilkenny. The first buildings of Kilkenny Castle were built by William, Earl Marshall in 1192 who founded the town of Kilkenny in 1204. 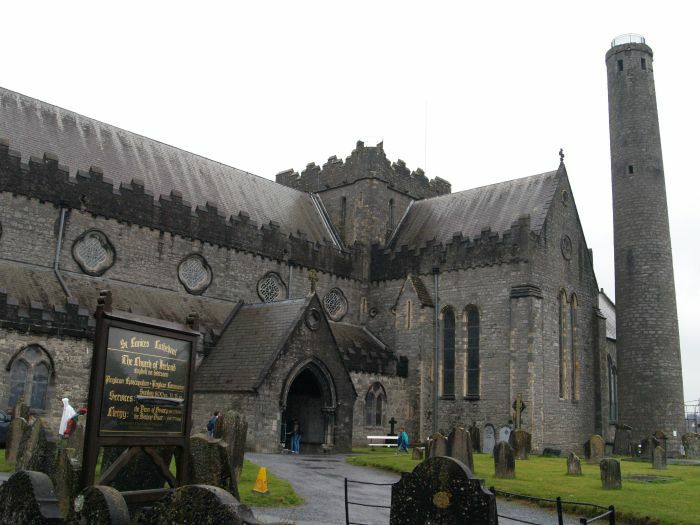 By 1280 the cathedral of St Canice was completed. In 1315 Parliament sat in Kilkenny. 1324 saw the trial of Dame Alice Kytler for Witchcraft! The Black Death 'visited' Kilkenny in 1348-1349 (described by the Franciscan monk Father John Clyn). 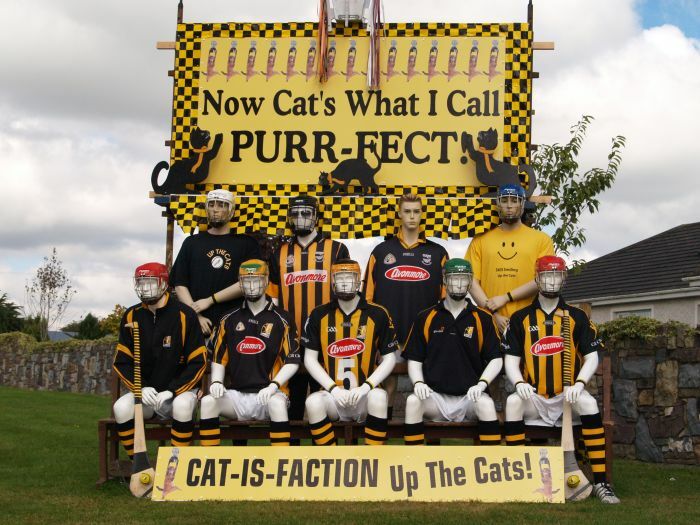 The Statutes of Kilkenny' were drawn up in 1366. The castle was bought by James, 3rd Earl of Pembroke in 1391. The English King Richard II visited Kilkenny in 1395 and 1399. Kilkenny supported York in the English War of the Roses but the Yorkist town was sacked by Piers, 8th Earl of Ormonde. In 1540 the monasteries were dissolved and suppressed (Act of Dissolution, England 1538). Robert Shee and Walter Archer were Kilkenny's first MPs in 1559. Rothe House was built in 1599. James I grants Kilkenny its City charter in 1609. 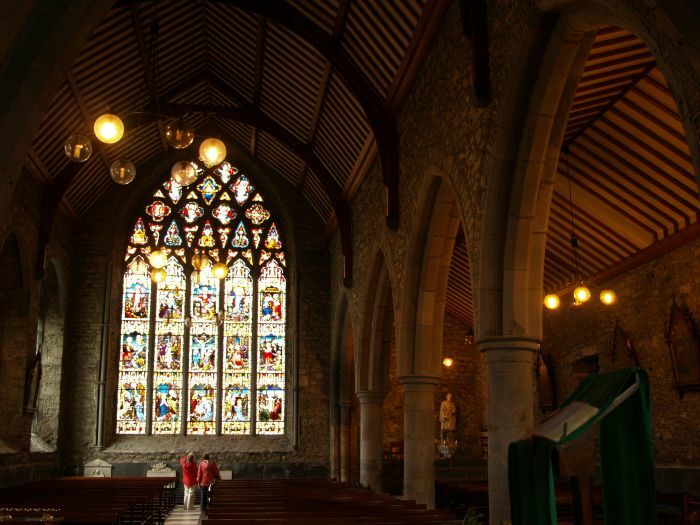 In 1642 the Catholic Confederation meets in Kilkenny in 1642 and in 1645 Archbishop Rinnucini, the Papal Nuncio, arrives from Rome and in 1650 Cromwell visited Kilkenny! James II visits Kilkenny in 1689 and establishes the Royal College of St James but on the visit of William III ('King Billy') in 1690, the college foundation is cancelled. A great flood swept all the bridges away in 1763. In Ireland the Penal Laws were relaxed and Gratten's Parliament founded in 1782. The Market Cross was taken down and removed in 171. Why? In 1800 after the Act of Union between England and Ireland, the Irish Parliament was disbanded. Kilkenny was not completely exempt from the Great Famine of 1845. The death of O Connell, "The Liberator" in 1847 was felt all over Ireland. The year 1848, when the railway first came to Kilkenny, was also the year of the 'Young Ireland Rebellion. In archaeology institutions, Kilkenny led the way by founding the Kilkenny Archaeology Society in 1849, which later became the Royal society of Antiquaries of Ireland. St Mary's cathedral was consecrated in 1857. The Irish Fenian rising was in 1867. 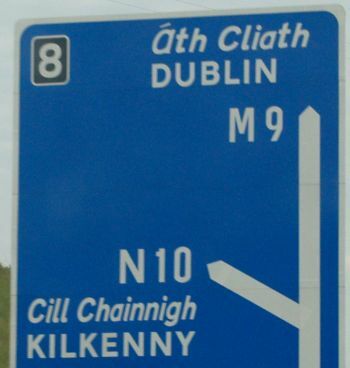 In 1900 the Kilkenny Branch of the Gaelic League was founded. The Easter rising of 1916 was followed in 1919 by the War of Independence in which Kilkenny Castle was occupied by republicans but was retaken by Free State Troops. The Butler family leaves Kilkenny castle in 1935. 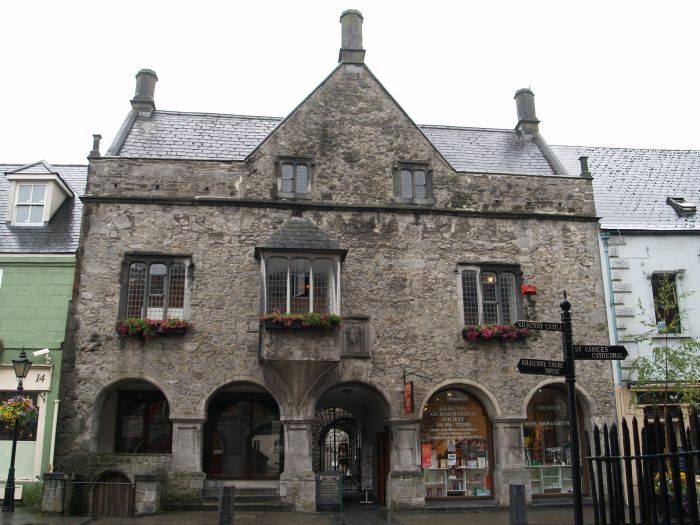 The Kilkenny Archaeology Society was refounded in 1945 and in 1962 they purchased Rothe House, now open to the public since 1994 as a museum. 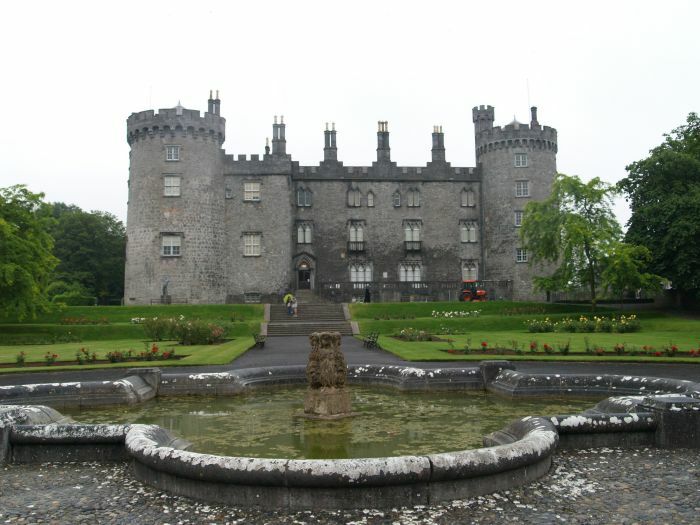 In 1967 Kilkenny Castle is given to the people of Kilkenny by the 6th Marquess of Ormonde. Enter place, heritage site, feature, walk, town, village, city, museum, historic building, mountain, island, anything of interest!